The exact process differs for each domain registration company. To further complicate things, some registrars will use the term "Nameserver" rather than DNS when labeling the areas you'll need to go to for the DNS changes. Regardless of which term they use however, the basic set up is the same. Be aware that changing DNS server information on your domain name will point all aspects of the domain to 3dcart's services. This includes email @yourdomain and any sub-level domains you may be using. If you require certain aspects of your domain to remain intact, please contact support before updating DNS. This will allow us to make any necessary changes to the DNS record here such as MX records for email or any other considerations. 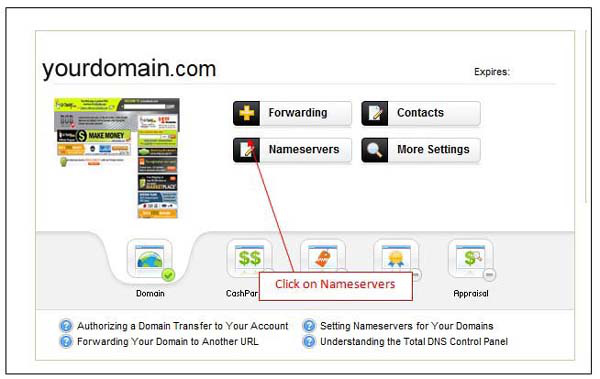 The following instructions cover updating your domain's DNS record via the registrar service. These are companies (i.e. 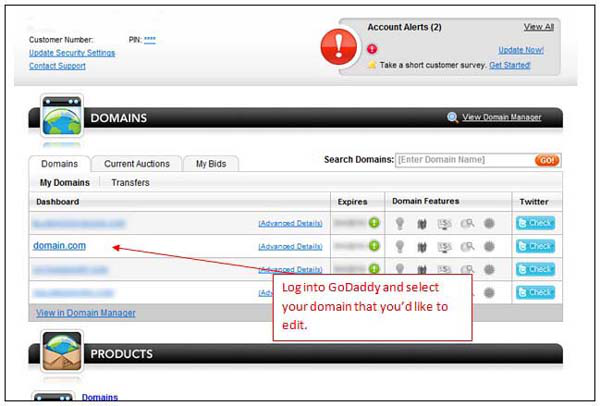 GoDaddy, Register.com, etc) that basically offer registration services for domain names to the general public. However, if you're not sure who your registrar is, check with your previous hosting company. Many hosting services offer domain registration as part of their hosting plans and may have registered the domain name for you originally. If so, it's very possible that they will also have methods within their system to either update your domain's DNS, or otherwise transfer ownership of the domain to your own registration so you can manage the domain as needed. To update your domain's DNS, you will need to enter the following domain name servers. If your registrar has only two DNS fields, then you will only need the first two 3dcart nameservers specified. Alternately, if your registrar has MORE than three DNS fields, you may leave those blank. As an example, we're providing the following screen shots of GoDaddy's DNS update for reference due to GoDaddy's popularity. We've also compiled a set of videos to help you with the most common domain registration companies. Scroll down to the bottom of the page to the DNS section and click on the registrar you would like to see a video on. If you do not see the company you purchased your domain from in the video section, please refer to your domain registrar's help documentation for specifics. 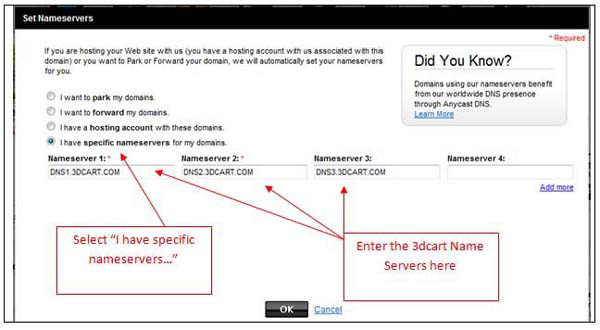 After you have made the required DNS changes to your domain, you'll have to reflect this change to your 3dcart store. Look down towards the bottom of the Store Information section and edit your store URL so that it reflects your personal domain name. If you also have a dedicated SSL certficate created for your domain, you can edit your Secure URL to reflect your personal domain as well.